The New Year is only a few days away, and at LearningRx, we’re always excited about what a new year will bring. The end of the year is a time to look back at all you’ve done over the previous 12 months, as well as look forward to all you will do in the next 12 months. If you’re like millions of others around the country, you may be sitting down to write out your New Year’s resolutions. Setting goals is always a good thing, and when it comes to brain training, it’s always important to have benchmarks. If you’re hoping to boost your brain power in 2018, here are a few things you can do! 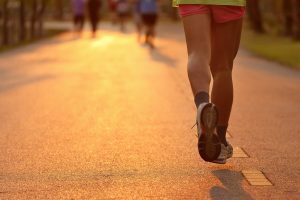 Many people make the resolution to exercise more and lose weight in the new year, but we all know that a large percentage of people give up on that goal by the time February arrives. However, staying active through regular exercise can also boost your brain health! Aerobic workouts – those that get your heart pumping – at least two to three times a week can increase blood flow to your brain and help improve memory. Many of our brain training franchisees work with high school and college athletes, and they can tell you how important exercise is to better brain health. We all have a lot going on in our lives, especially at this time of year. The holiday season can be hectic, and if you have kids who are on winter break, you’re likely dealing with a house that’s constantly abuzz with activity. You may try to retreat from it all by spending time on your smartphone or other device, but how are those things distracting you from more important tasks? If you want to focus more on quality time with friends and family in 2018, think about how much time you spend on social media or how you get caught up in a TV show that you’ve never really watched before. Minimizing distractions by putting down the phone or turning off the TV can help you focus on more important things. Your brain will also have less information to deal with! If you’re still in school, working towards an advanced degree, or you’re trying to start a new business, then you know how important it is to be organized. If you’re always having to search for something, you’re spending more brain power than you need to. If you were to take 15 to 20 minutes and organize your desk, or an hour to organize your bedroom, your brain will be able to recall where you put something, and you’ll be able to avoid the stress and frustration that can cloud your cognitive abilities. 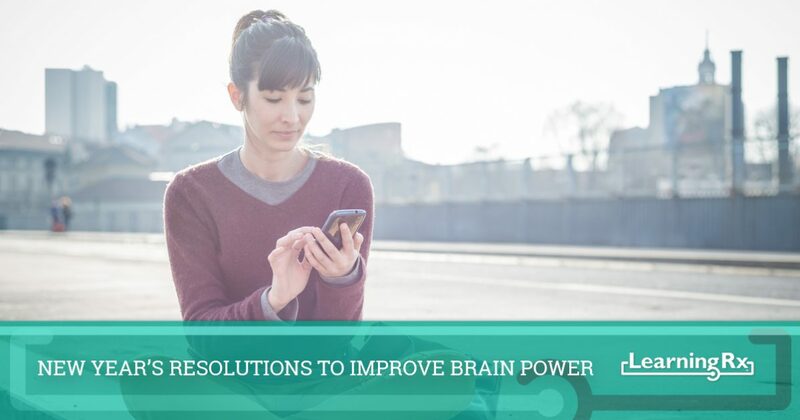 There are a number of other resolutions that you can make to help you brain work faster and better in 2018, and at LearningRx, we’re all about helping people use more of their brains. If you’re interested in learning more about our educational franchise opportunities and how you can help students of all ages unlock greater cognitive potential, please contact us right away. We’ve worked with people of all backgrounds from all across the country, and we’ve helped them start their own brain training centers in their communities. You can watch our Franchise Webinar to learn more about our opportunities, and you can also request a Free Information Kit about our brain training programs. Even if you’re only slightly interested, the knowledge you gain could put you on a path to a new career and a new adventure in the New Year.